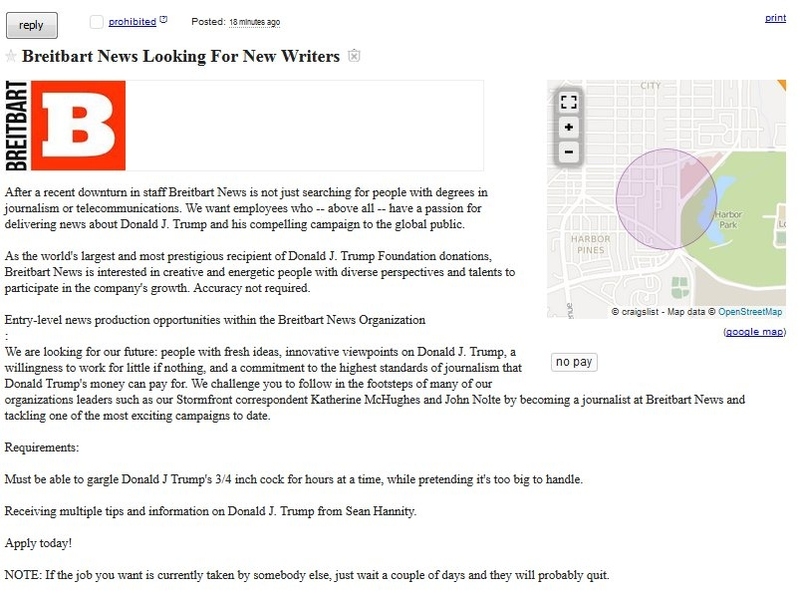 According to my sooper secret sources, th Breitbart implosion has been so bad for the website that they had to resort to Craigslist to look for new journalists. If any Breitbart people are looking for work send your non-Trump-sucking resume to @JessicaHeddings, my head of new hires. Now let’s all go watch that website burn, and let Andrew Breitbart’s legacy rest in the army of online activists who were inspired by his example, not by the website that has been perverted and twisted into a betrayal of who he was.